Note: Remember to add the wall material thickness to your wall depth when determining the cabinet you need. Not responsible for acrylic breakage during shipping. 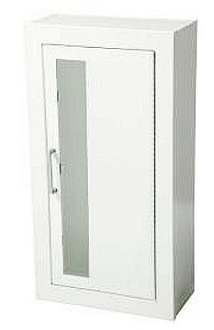 Surface Mount Cabinet. Tub A 27 3/16" B 13 11/16" C 6 5/8" Frame E 27 3/8" F 13 7/8"